developing a sustainability assessment report. This process will help to identify the major sustainability challenges in the region and to understand the measures that have already been taken to address these challenges. The assessment includes developing a greenhouse gas emissions inventory, along with analyzing data for key indicators related to energy, transportation, land use, water and air quality, waste, economics, and natural resources. The baseline assessment will be summarized in a sustainability assessment report, which will define the key issues and challenges to be addressed in the sustainability plan. The CNY RPDB will use the Sustainability Assessment Checklist developed by ICLEI Local Governments for Sustainability to prepare the sustainability assessment report. As a regional affiliate member of ICLEI, the CNY RPDB has access to technical assistance that will support completion of this task. In addition, the CNY RPDB will prepare a Regional Greenhouse Gas Inventory for the five-county region. The CNY RPDB will conduct research to identify the key challenges. Each program area (energy, land use, transportation, community development, environmental management and economic development) will assess the current state, trends, and business-as-usual scenarios within its domain, and research best practices for moving toward greater sustainability. In addition, staff will assess population change, infrastructure capacity, land use and transportation patterns, pollution sources and other relevant data outlined in the Sustainability Assessment Checklist. When possible, data from existing plans or reports will be used to develop the sustainability assessment. Many CNY RPDB partners (i.e., municipal departments) may already have this data readily available as they may already be working on a number of the issues to be addressed in the plan. If the data isn’t available, the most useful information will be prioritized and a quick-action assessment will be performed. The CNY RPDB will solicit feedback from the public regarding the sustainability challenges using the Vision CNY website and Wikiplanning tools. The CNY RPDB will present the results from the sustainability assessment report to the Technical Advisory Committee (TAC) on August 2 to ensure everyone is working with the same baseline information and to make sure the TAC members agree on the key challenges facing the region. The CNY RPDB will define clear, relevant and measurable goals that address the key issues identified in the sustainability assessment. The CNY RPDB will set sustainability targets (including an emissions reduction target) that are aggressive but achievable. Goals will be defined in nontechnical language that will engage a wide audience. The CNY RPDB will solicit input from the Regional Advisory Committee (RAC) and TAC on the goals and ask the members to endorse the goals, to demonstrate broad support early in the process. The CNY RPDB will utilize the visioncny.org website, roundtable discussions, and focus groups to solicit input for the measures being considered for the plan. 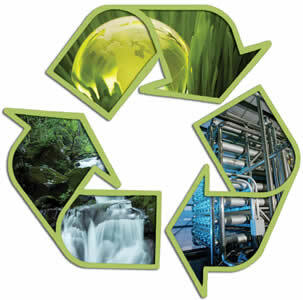 The CNY RPDB will develop and distribute a questionnaire to be distributed to all municipalities in the region to solicit information about local sustainability initiatives and to receive feedback and test ideas. The CNY RPDB will meet individually with municipalities that have been particularly active (i.e., Climate Smart Communities) to solicit further information and feedback. In addition, the CNY RPDB will prepare a questionnaire for the general public that will be available on the project’s visioncny.org website. The CNY RPDB will develop an attractive and easy-to-understand presentation for the outreach process to visually communicate to the public the challenges and goals. Presentations will be posted to the visioncny.org website.